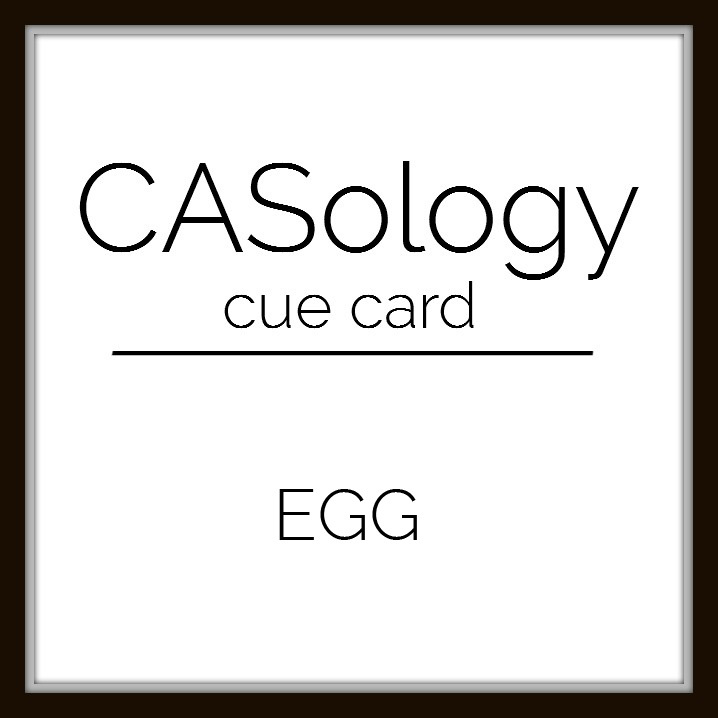 This week's CASology Cue Card is Egg! Where's the egg? Wrong question. Ask yourself "What came first?" I used two sets from Stamplorations - Hashtag Authentic and Small Birds. The sketchy/grungy feeling of the two create unity in my design. Making this a one-layer card and leaving lots of white space make sure that it's CAS. I stamped this in Stampin' Up's Archival Basic Gray - not quite as stark a contrast as the dark black but still stamps really well. I coloured with copics, so this is also for #thedailymarker30day. Now it's your turn. We know (because we had a big discussion about it!) that this one will really get you thinking! And that's no yolk! Fun way to avoid to use an egg on your card:) ! Love the bird and quote! 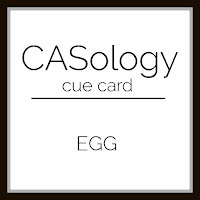 Thanks for having me as Guest Designer at CASology! Have a fun and colourfull week! Super cute--the chickie and the sentiment fir together so well! You really nailed this one, Ardyth. Love the overall grungy feeling, and I am still wondering which came first. Whoa...for a minute there I thought that I was at Shirley's blog!!! Love 'the chicken or egg' idea! Nice bit of shading beneath the bird! =] =] yep. this is a two smile card. Hello Ardyth: Clever way to interpret the Cue Word, love this happy little yellow chick. I like the cute bird, this is fun! Hmm. I have this bird. I could colour him yellow. l) Your card is adorable! So clever and soooooo cute, Ardyth!!!! Lovely colouring of the little bird and adding the shadow!!! Love it!!! Amazing "egg" card! You are so clever, you made me smile! 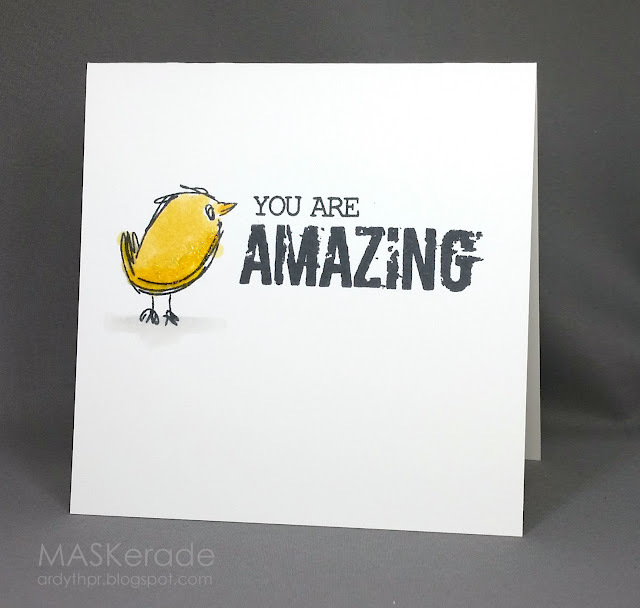 Adorable little chick...and that sentiment is "amazing"....I love the rough edges! I do love how the chick and the sentiment are the same "style"...perfectly matched! I totally want this stamp! You rocked this design! Hey Ardyth!!! Such a great card. I love the coloring of your bird. Super cute.